In a paper published in the journal Nature, Chinese paleontologists have detailed their impressions on the finding of a chicken-sized feathered dinosaur which might lead to a total reconsideration of the origin of birds on Earth. In 1861, just two years after Darwin published his infamous Origin of Species, scientists unearthed the fossils of Archaeopteryx, hailed to this day as the oldest bird and an important evolutionary link between dinosaurs and the feathered creatures of today. In recent years, however, doubts have arisen after similar older bird-like fossils, complete with three finger legs and feathers, have been discovered. Now, the discovery of Xiaotingia, found by a collector in China’s Liaoning Province, has lead renowned Chinese paleontologists to believe that Archaeopteryx is not what it seems – not a primitive bird, but just another feathered dinosaur. Xiaotingia, dates back 155 million years to the Jurassic Period. 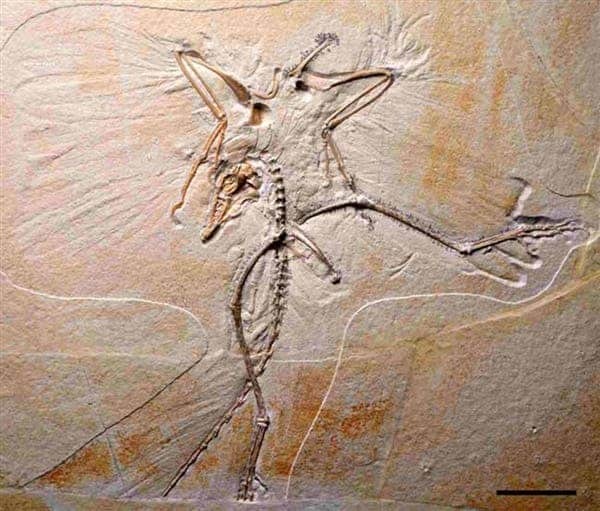 Using a complex computer model in which they fed 89 fossilized dinosaur and bird species, including Archaeopteryx, they analyzed the skeletal measurements in detail. Without the Xiaotingia fossil added to the system, Archaeopteryx was put on a evolutionary line leading to modern-day birds. 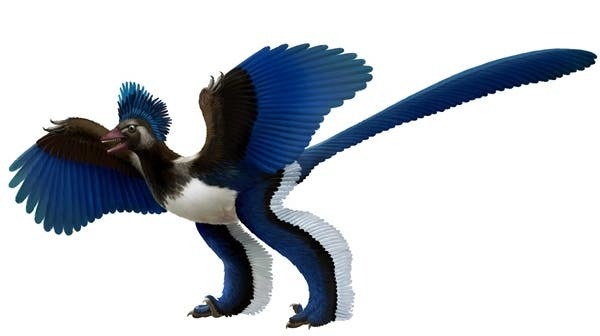 When Xiaotingia was included, the algorithm classed Archaeopteryx in a group of birdlike dinosaurs known as deinonychosaurs. “There are many, many features that suggest that Xiaotingia and Archaeopteryx are a type of dinosaur called Deinonychosaurs rather than birds. For example, both have a large hole in front of the eye; this big hole is only seen in these species and is not present in any other birds,” professor Xu Xing said. “Archaeopteryx and Xiaotingia are very, very similar to other Deinonychosaurs in having a quite interesting feature – the whole group is categorised by a highly specialised second pedo-digit which is highly extensible, and both Archaeopteryx and Xiaotingia show initial development of this feature,” he went on to continue. Since its discovery 150 years ago, Archaeopteryx has almost unanimously hailed by evolutionists as the most primitive bird, which lead every theory related to the formation of birds to be linked with it. A new set of hypothesis might have to be re-written now, however. A slew of debates will likely follow soon in the scientific community, as scientists hanging on to the iconic Archaepteryx status will ask for more substantial evidence. “The reality is, that next fossil find could kick Archaeopteryx right back into birds. That’s the thing that’s really exciting about all of this,” said Prof Lawrence Witmer from Ohio University.